THE PRICE IS RIGHT! Call the movers and settle in to your quality new home or ideal rental. 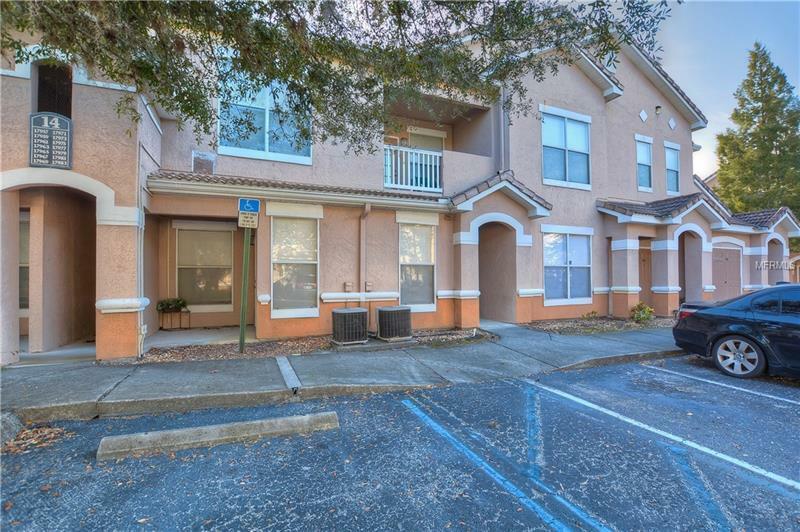 This comfy one-bedroom unit at The Villas Condominiums in desirable New Tampa is on the second (top) floor of building 14 in a peaceful gated community. The unit features a bright lanai perfect for plant or sun lovers. Enjoy the on-site pool and fitness center. It's move-in ready and just minutes to Florida Hospital/Advent Health, Wesley Chapel, Tampa Premium Outlets, Wiregrass Mall and countless other shopping and dining destinations. Don't overlook this gem!